ACM4000T is an automatic calibration module that can be used with all CMT Vector Network Analyzers operating in frequency range up to 4 GHz. It is a fully automatic USB-controlled and powered electronic calibration module. Minimizing the number of steps required by technicians reduces the risk of human error and expedites the calibration process. 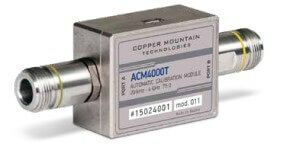 Automating the calibration routine also reduces wear and tear on the analyzer and RF cables. To perform full two-port calibration, each end of the ACM need only be connected to the analyzer once, as opposed to seven connections with a traditional calibration. 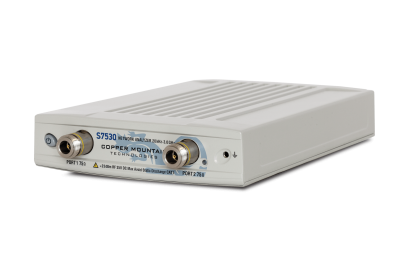 The ACM also contains a factory characterized 20dB in-line attenuator which acts as a simulated device under test (DUT). The confidence check feature loads the factory stored DUT into memory so proper calibration can be verified.